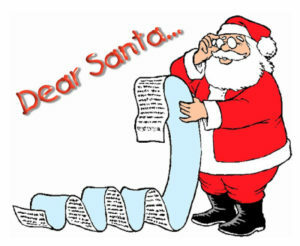 We’re really excited about our upcoming shows, Big Boys and Dear Santa… and we want to spread the word about them. We’re looking for someone to help. We are seeking an individual to work with us as a publicity assistant for the remainder of the year — to help us publicise our shows and the workshop we are planning in November. Posters, postcards and flyers distributed anywhere and everywhere they will be seen by potential audience members — pubs, shops, schools (where permitted), offices, etc. 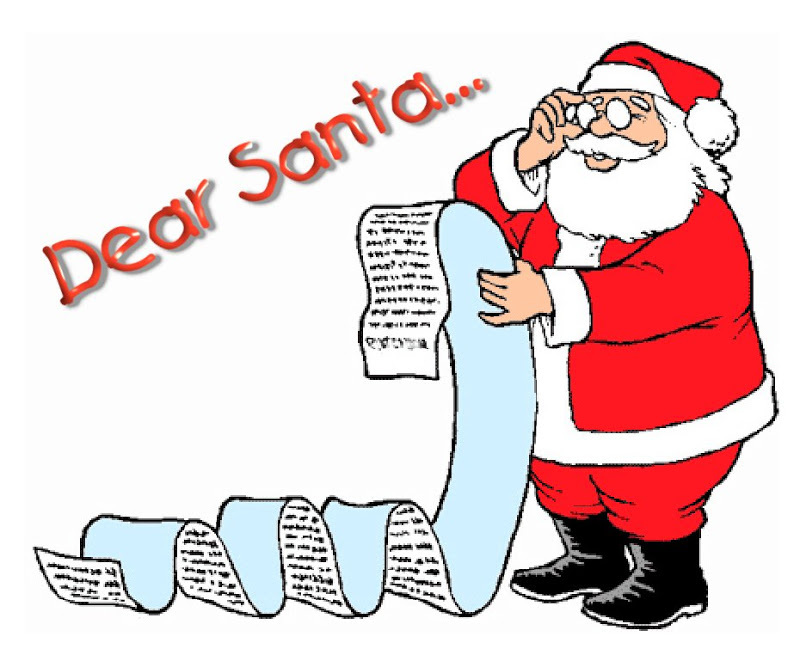 Sending press releases to media (big plus if you can write and / or translate them). 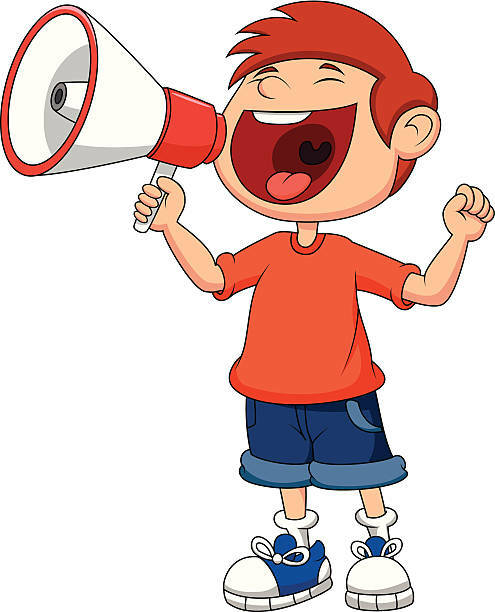 So, if you have a few extra hours, and would like to help us publicise our work and support our mission to deliver passionate, professional, thought-provoking English-language theatre to Luxembourg audiences (and make a little pocket money in the process), get in touch. 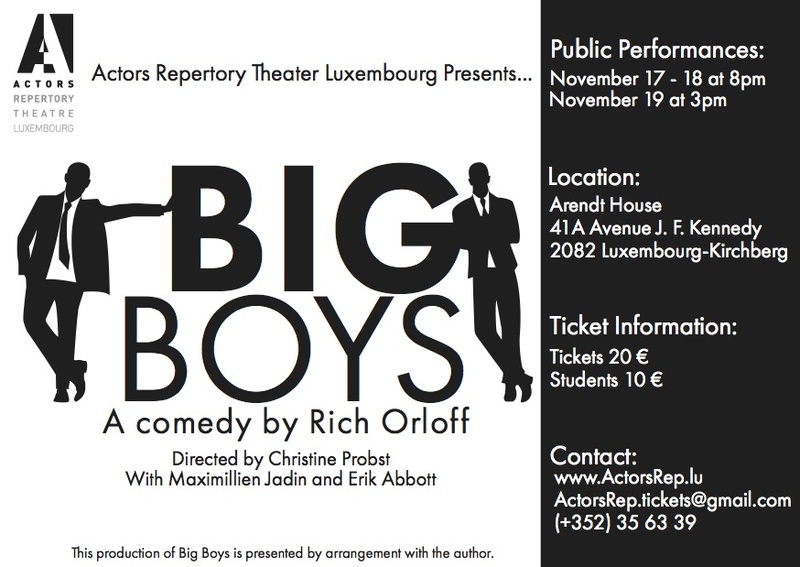 Actors Repertory Theatre Luxembourg (Actors Rep) announces its production of Big Boys, by New York playwright Rich Orloff, in the Arendt House auditorium: 41 Avenue J. F. Kennedy, 2082 Luxembourg-Kirchberg, November 17 – 19, 2017. Big Boys is a hilarious satire on corporate culture which the New York Times called ‘rip-roaringly funny’, with ‘snappy dialogue and non-stop mayhem’. This ‘over-the-top comic fable’, as Orloff describes it, pokes fun at the peculiarities of the business world in a style he says is ‘influenced by the surreal energy and comic rhythms of vaudeville comedy’. Public performances are Friday, November 17 – Sunday, November 19. The Friday – Saturday performances are at 8pm and the Sunday performance is at 3pm. This two-character award winning comedy follows the relationship between a self-satisfied, grandiose, amoral and very successful boss, and his insecure, moral, eager-to-please and very unhappy would-be protégé. Who will win their madcap competition over how the business should be run? Actors Rep Associate Artistic Director Christine Probst directs. 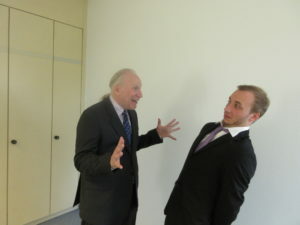 Luxembourg actor Maximillien Jadin plays Norm and Actors Rep Artistic Director Erik Abbott plays Victor. Caspar Rundegren was originally slated to play Norm, but left the production prior to the start of rehearsals to pursue a professional opportunity in his native Sweden. Jadin, most recently seen onstage in Ashcan at Théâtre National du Luxembourg (TNL), trained at the American Musical and Dramatic Academy in New York. 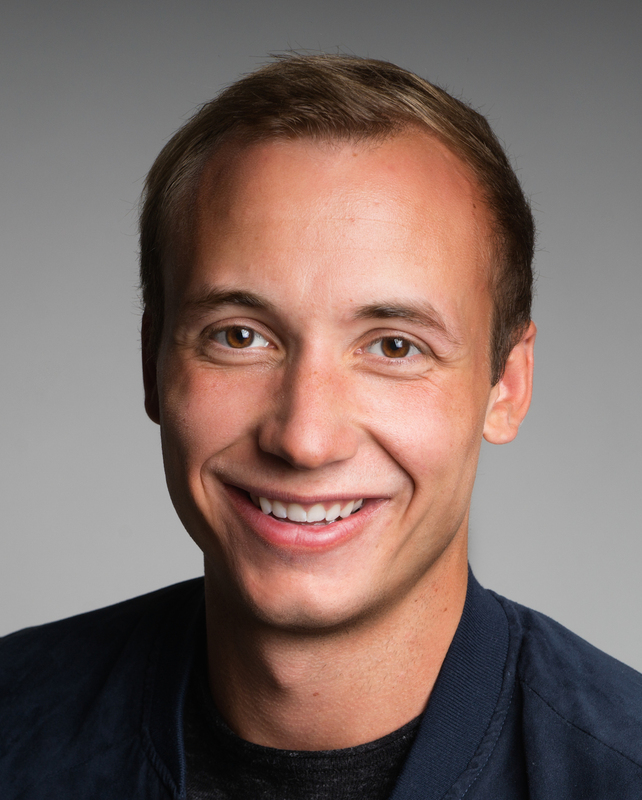 Since returning to Luxembourg, he has worked at TNL, both in Ashcan and in Den Ubu als Kinnek, Coco Chanel, and at the Grand Théâtre and Kaleidoskop Theater. He teaches at LNBD Dudelange. 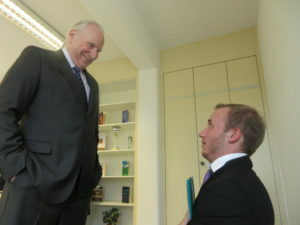 The play features Norman, the newly hired assistant and would-be protégé to Victor, the CEO. Their working relationship at first appears relatively normal but descends quickly into a wild comic ride. 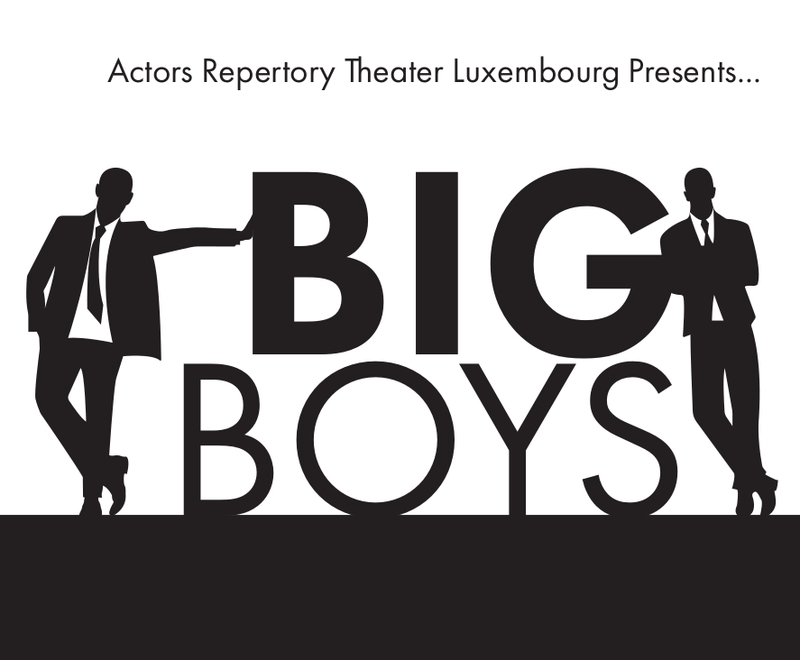 Actors Rep wishes to express its gratitude to Arendt House for its generosity in hosting this production of Big Boys. 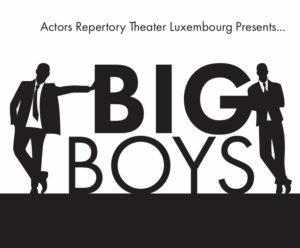 In performing this corporate play in a corporate setting, Actors Rep brings to the doorstep of the Luxembourg business community a boisterous laugh filled event that (gently) pokes fun at business—juxtaposing the onstage fun with its real-world counterpart. Big Boys is presented by special arrangement with the playwright, Rich Orloff.